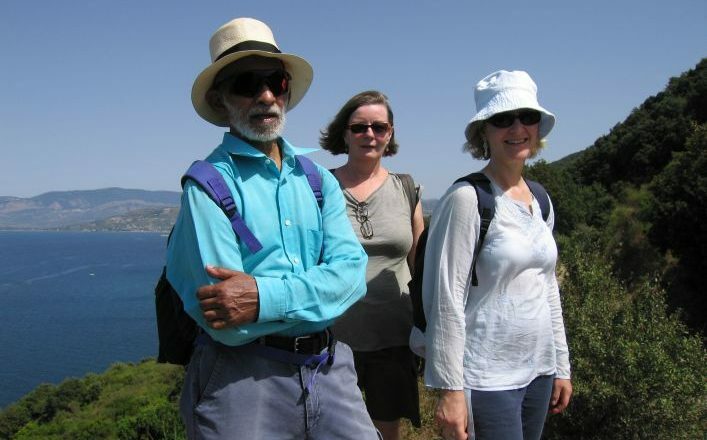 Walking holidays Campania is a wonderful walking tour between century old olive trees, crystal clear blue sea, Roman temples and medieval watch towers. Explore gorgeous scenery and magnificent temples in an undiscovered area. A wonderful walking tour between century old olive trees, crystal clear blue sea, Roman temples and medieval watch towers. This is the coast along which Ulysses and his sailors were lured away from home by the singing of the Sirens and the capes along this coast still bear thel ovely Siren names – Tresina, Licosa, Camarota. This walking holiday would be within the capabilities of most people of average fitness,walking 4 to 6 hours per day. £620.00 per person (except July, August £679.00 per person), based on 2 people sharing.Single supplement: £109. Additional supplement for one person doing holiday alone: £135. Transfers as specified. Luggage transfers. Flights and anything not specifically mentioned in the programme. Daily according to accommodation availability. It is possible to do this holiday all year round (according to accommodation availability). Arrival at Paestum. Visit the temples area,which are amongst the best preserved in Europe. 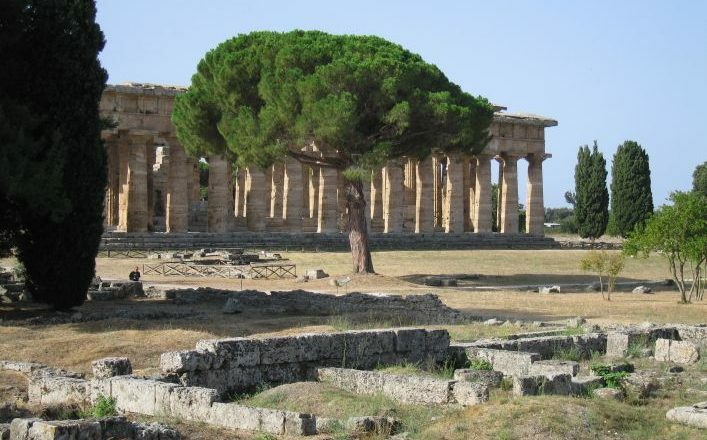 Overnight in a hotel a short distance from the temples.Overnight in Hotel*** in Paestum. 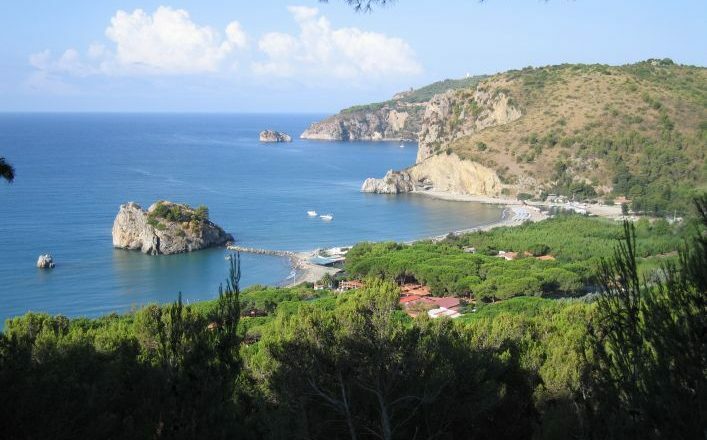 Today you first take a short train ride to Agropoli, from where you start a wonderful walk along the headland of Punta Tresino, one of the last remaining stretches of pristine coastline. Walk through a genuine Mediterranean landscape, through forest and heathland, along wonderful beaches and an ancient Roman harbour, with beautiful views across the sea. Reach the abandoned village of San Giovanni, where excellent white wine is produced (optional tasting possible); then descend to the large sandy beach of Castellabate, continuing to the fishing harbour of Santa Maria, from where you are collected and taken to the fortified village of Rocca Cilento. Approx. 4.5 hours walking. 550m ascent/550 descent. (+ 300m extra to Monte Catiello). Accommodation in B and B in Rocca Cilento (for 2 nights). 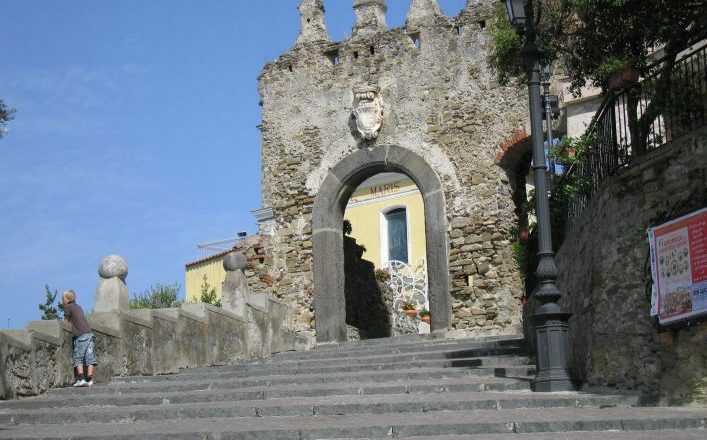 From Rocca Cilento you walk directly from your accommodation to discover some of the most interesting villages in the area, among them Lustra, which has one of the best preserved old town centres in the area. Part of the path goes along the old route that once connected this valley with the Greek cities of Paestum and Velia. There are wonderful views on both sides of the ridge. Climb to the charming hamlet of Valle Cilento, with its beautiful bell-towers. Pass the abandoned village of Massacanina, then the monastery of Mercato Cilento and follow a panoramic trail back to Rocca. Circular walk 13.5 kms/8.5 miles. Between 4 and 5 hours. Up 650m and down 650m. Accommodation in B and B in Rocca Cilento. Enjoy a coastal walk along one of the most unspoilt stretches of coastline in southern Italy, with beautifully clean water. This is the Costa degli Infreschi, named after Roman harbour of Porto degli Infreschi, where there is a freshwater spring in a grotto. 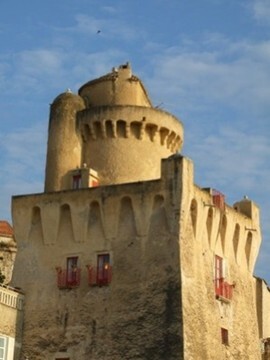 Walk directly from the hotel along the harbour until you reach the first medieval watchtower. 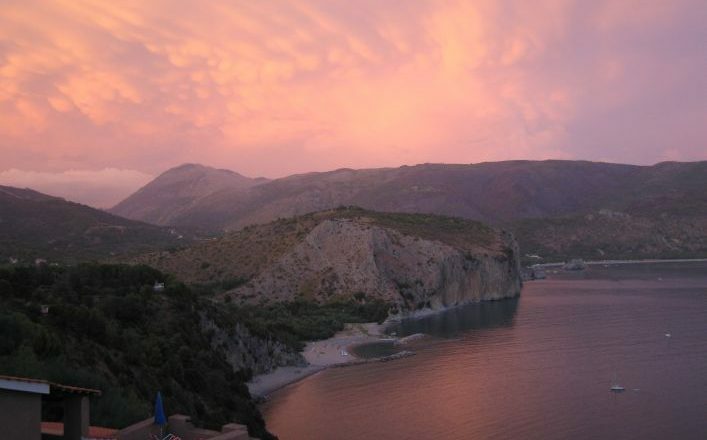 Climb through olive groves and descend to an inlet, with its pretty beach. 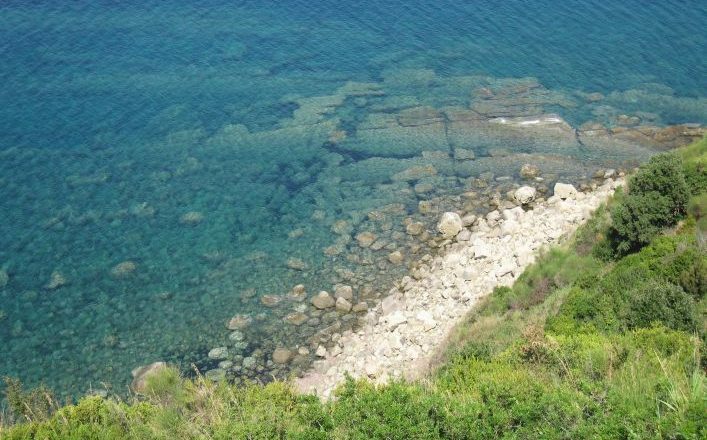 Another hour along a lovely trail brings you to Porto degli Infreschi. 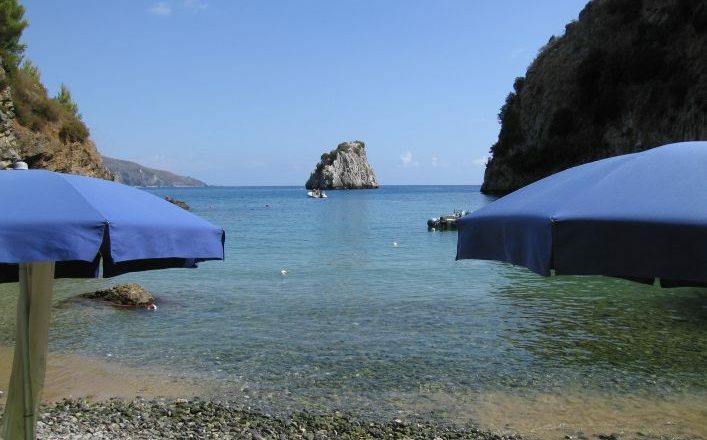 Return either on foot or by optional boat to Marina di Camerota. 10 kms/6.25 miles. 4.5 hours. 250m up/250 down. 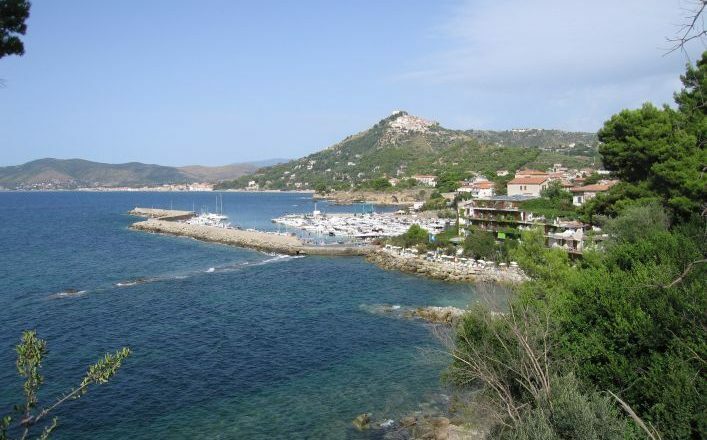 Accommodation in Marina di Camerota. Departure after breakfast with included transfer to railway station. Trains available to Naples.